MANZANITA, Ore. – Reading need not be a solitary pursuit for north Tillamook County teens this school year. The Manzanita Branch of the Tillamook County Library will sponsor a Teen Book Club to meet one night each month from late September through May. Club membership is open to anyone ages 13 through 18. Not only will book club members choose the book they will all read each month, they will guide their own discussions with assistance from library staff and community volunteers. The library will provide the books. A kickoff meeting, during which club members will form a list of potential books, share ideas and determine the best meeting time is scheduled for 6:30 p.m. on Tuesday, Sept. 27 at the branch library. Teens who are interested in participating will not be required to attend every meeting. To sign up or learn more, call the Manzanita Branch Library at 503-368-6665, or stop by the branch at 571 Laneda Avenue, Manzanita. 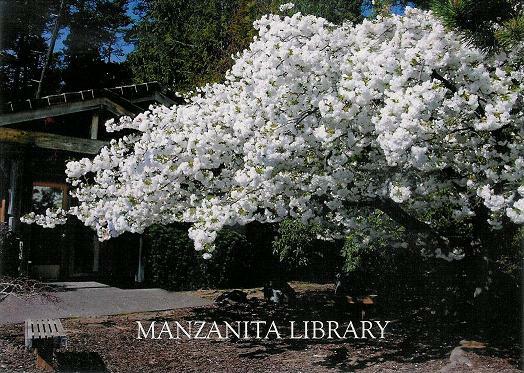 The Manzanita Branch Library is open noon to 5 p.m. Monday, Wednesday and Friday, from noon to 8 p.m. Tuesday and Thursday and from 10 a.m. to 3 p.m. Saturday. Posted by rockyintertidalcocreative on September 12, 2011 in Uncategorized and tagged Manzanita Branch Library, teen book club, Tillamook County Library.